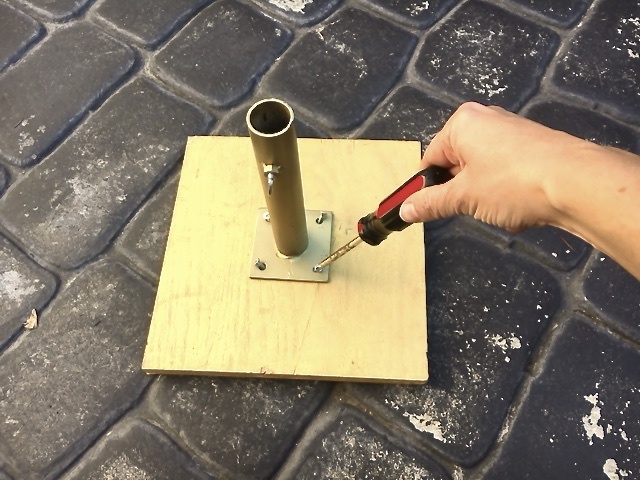 4 wood bases with pole mounts that attach with screws. Screws and decorative fabric included. Client provides weights. outdoor set up: 36 lbs per base. Not recommended for windy sites. For lawn set up, ask us for lawn stakes. Paver Stones from Home Depot: 6 lbs each 8" x 4" x 2 3/8"